More leggings, this time for summer. Still black and grey with a wide variety of shoes. 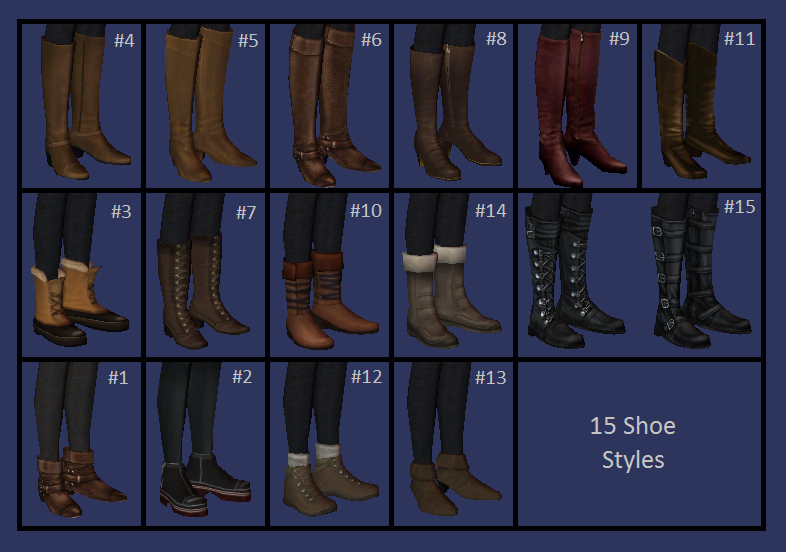 Fifteen shoe styles including sandals, flip flops, kayleigh's slip on vans, strappy heels, Sentate wedges, Skeleton Tea midbooties, my NEW Birkenstocks, my clogs (mules?) and more. For adult and young adult women. Meshes have curvy and pregnant morphs (same as my earlier ridiculous number of leggings). 473 people have said thanks to CatOfEvilGenius for this download.